Neuro Linguistic Programming (NLP) attempts to go where you have never gone before. It is like "peeling off" the layers of your mind and understanding your real feelings. It is an approach to communicate internally, within yourselves. The concept of NLP came into being in the 1970s. It was when John Grinder and Richard Bandler from the United States made an attempt to understand the connection between words and the mind. 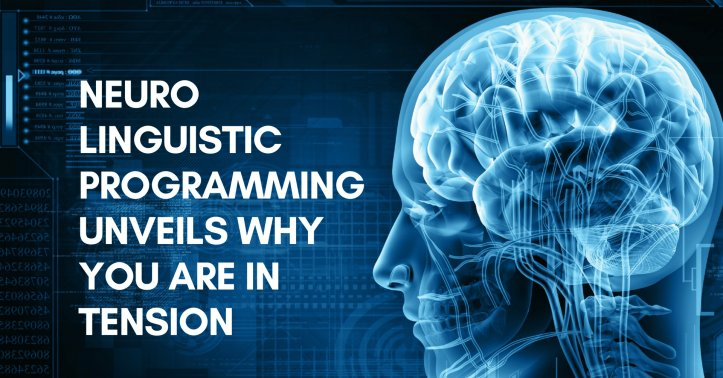 According to them, neuro (brain or mind), linguistic (language), and programming (experience) are all connected. It is possible to change them to accomplish life's goals. Neuro Linguistic Programming helps you know the language of your inner voice. Call it the voice of your soul, subconscious, or even the Divine. Most of us speak at the conscious level. But deep down within us, there is a voice. While conversing with others we focus on words and their meanings. We are also busy thinking what to say next. You would be astonished to know that words uttered from the mouth are the least meaningful. They reveal just 7 percent of what the person truly means. Example: you ask help from your friend to organize an event. She says "yes," but her voice is flat. Her facial expression reveals disagreement. You immediately realize that she has just said yes half-heartedly. Her words say "yes." Her non-verbal language or her subconscious mind says "no." So, the real meaning of her words lies deep down in her subconscious. Her "yes" actually means "no." This is the remaining 93 percent communication, which is real. NLP is this 93 percent communication! You may have felt sometimes that you say "yes" to something reluctantly. Your mind wants to say "no," but you end up nodding. True communication is not what you speak from your mouth. A lot of communication is happening inside you. Your body agrees with your mind. So, if you don't want to do something, your body language will disclose it. You may often try to camouflage your real feelings by putting up a fake smile. However, doing this too often can lead to conflict inside you. This is when you come into the "tension mode." Example: You are about to host a party in the evening. You are tensed. Everything seems good; yet uncertainty and nervousness overwhelm you. An expert in Neuro Linguistic Programming like Abhay Thakkar would sense your "tension mode" and also figure out why this is happening to you. It is due to the communication going on inside you. You are filled with negativity with regard to the dinner party. So, in spite of organizing everything perfectly, you don't feel happy. You are tensed because of the negative images in your mind. Your body is responding to the inner communication going on. The first step in Neuro Linguistic Programming is to be aware of your mindset. We generally conjure negative images in our mind. As a result, we are unable to enjoy the present moment even though it may be perfect. Our body responds to the inner communication. That's why even if we say "yes" to something, our tone is flat because each cell of our body is agreeing to the language "cooking up" inside us. Once you are aware of your mindset, you can alter it. Suppose you are imagining bad things happening at your dinner party. You can "wipe off" the images and try to imagine your dinner party becoming a success. Guests are elated. Dinner is scrumptious. Everybody is having a good time at your house. They thank you with a smile and a warm handshake while leaving. As soon as you begin to imagine good things, your body responds to them and you start enjoying the moments. You work without tension. You feel happy. Tension vanishes. This is the programming part of NLP. Like a software programmer, you program the software (neurons) of your brain to see and feel what you want. NLP is NOT hypnosis. In hypnosis, you are in a trance-like state that helps you meet your subconscious self. Your conscious self takes a backseat. A neuro linguistic programmer does not hypnotize you because you must use both your conscious and subconscious mind during programming. The idea is to synchronize your conscious and subconscious states so that you achieve what you want. Can you do NLP on your own? Yes. However, it would be nicer if you let a professional do the job. He or she knows how exactly to understand your inner language. Interested in programming your mind? What's stopping you?